Are a member club of the AFC West Division. Played their first season in 1960. Home field: Sports Authority @ Mile High. 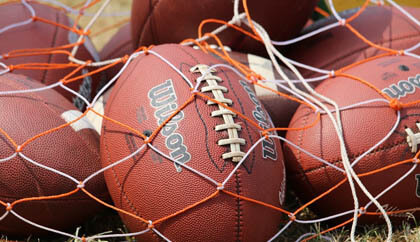 In 1960, the Denver Broncos Football Team was formed and started playing in the American Football League. Attending a Denver Broncos Football game in the Mile High city has some great level of excitement and enjoyment. Their usual schedule starts from September, ending around early January. One can enjoy them during later January or even early February in case they get into the post-season play. 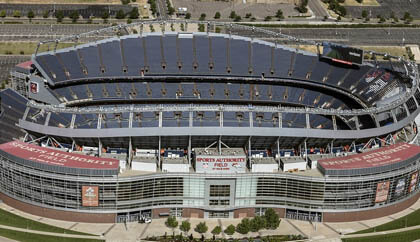 It takes place at Sports Authority Field located at Mile High. This place is amazing for such a game and is sure to provide one with authentic local experience. Locating the stadium is not that difficult too as it situated at the west of downtown. One can opt for public transit or a quick drive from any place to the Denver metro locale. Begin your tailgating experience from the moment we arrive to pick you and your friends up in one of our many stunning luxury limousine vehicles such as our 12 passenger Mercedes Benz Sprinter Van all the way up to one of our absolutely massive Limousine buses with room for up to 55 passengers. Auraria Campus also offer several parking zones, accessible from 1-25, costing around $15 to $20. These two lots are nearly about a 15-20 minute walk away from the stadium. This kind of shuttle rides around the Denver metro region and usually stops at designated centers. It costs about $4.50 to $10 totally depending upon the pick-up location. These rides generally start nearly 2.5 hours before the game kicks in, but on weekdays they tend to pick up 2 hours before the game starts. For a return trip, one needs to contact the shuttle in the parking lot A. Federal shuttle being another great alternative will get you to the game easily. This shuttle generally stops at the Lincoln High School and a number of other places spread throughout Federal. Like BroncosRide, this also starts 2 hours before the game along with the ultimate pickups about 10 minutes after the onset of the game. The return ride is immediately scheduled after the game at about 45 minutes after the game. There are available a number of public transit systems through which Denver has developed greatly in recent years. One of them is Lightrail which will drop you off near about the stadium. The C, E and W lines stop right at the Mile High Stadium stop from which it takes few minutes to reach the game location. One can also avail the West Corridor Line to the Decatur-Federal Station from where the stadium is about a 10-minute walk distance. In case one is looking for some great Broncos gear, they can rightly avail those from the stadium anytime, be it before or after the game. There is a store named The Broncos team Store situated at the south end of the stadium exactly below the chief scoreboard. One can access it by purchasing the gears from outside the stadium strictly before the opening of gates on the event day. Getting a behind-the-scenes tour of a stadium, without thousands of people screaming and yelling is generally not possible. But having a tour in the empty stadium of Mile High is possible. It takes about 75 to 90 minutes for completion of each tour by a professional guide, delivering you with the best and in-depth knowledge about the fantastic place. The tour comprises of only about half a mile, so one need not worry about getting worn out at the stadium. Even if one is not actually a Broncos or even any sports fan, they are sure to have fun while touring as a number of secrets can be learned about the place like its building history and also what happens when it is being looked at none. The tour begins at the Colorado Sports Hall of Fame and Museum which is located at the stadium’s West region. The tour includes the executive suites and the NFL visiting locker room of the team. The Keg room is considered to be the favorite of the people along with the Thunder’s Stall. Broncos’ mascot is this Thunder, and it is very exciting to about his staying place during the game. The schedule of such tours majorly depends on the time of the year when there shall be no game events taking place. 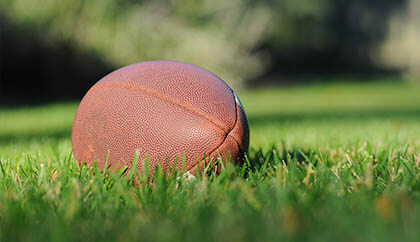 Thus, attending a Broncos Game will not only provide you a chance to witness the game, but it will also help you in gathering experience about the local eating joints, transit systems and also an exclusive tour of the Sports Authority Stadium at Mile High. This is an amazing Mexican restaurant near the stadium, well known for its lip smacking Macho Burritos as well as Margaritas which can be considered as fun treats as they are served with tiny umbrellas. In case it’s snowing, one can make use of those umbrellas to get their beers covered. This is an ideal place if you are looking for some fun along with great Mexican cuisines. It is located right across the stadium which makes it easier for visiting this place either before or after the game. This is a full bar with great margaritas to die for. It has reasonable rates, and the food tastes great. They also have TV to get the Broncos Game played live. Therefore, one can afford to spend more time in the bar though running late for the game.